Our selects for the best gifts this holiday season. 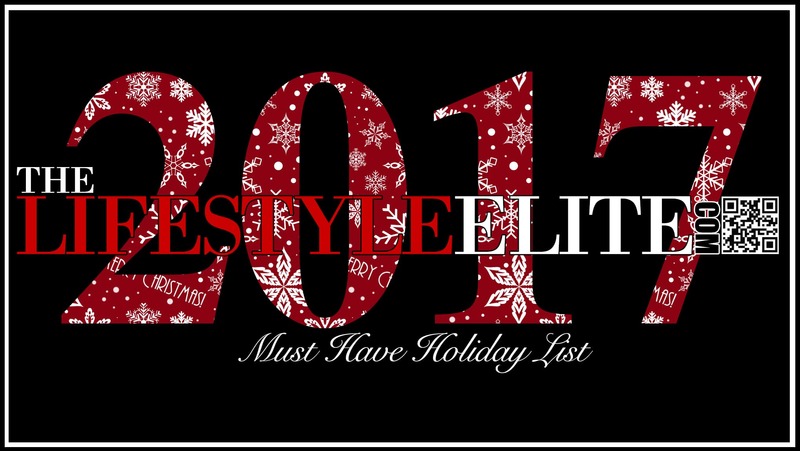 It has been a long year but it is that time yet again, the holiday season is upon us, and as many are often difficult to shop for we have compiled our annual “Holiday Guide” and as always we have selected a variety of items that will agree with any gentleman’s budget. Spider-Man is widely considered to be one of Marvel’s greatest creations and if you have viewed our livestream of the PlayStation exclusive, its no wonder this is making our list. An unprecedented cinematic journey ten years in the making and spanning the entire Marvel Cinematic Universe, Marvel Studios’ ‘Avengers: Infinity War’ brings to the screen the ultimate, deadliest showdown of all time. As the Avengers and their allies have continued to protect the world from threats too large for any one hero to handle, a new danger has emerged from the cosmic shadows: Thanos. A despot of intergalactic infamy, his goal is to collect all six Infinity Stones, artifacts of unimaginable power, and use them to inflict his twisted will on all of reality. Everything the Avengers have fought for has led up to this moment – the fate of Earth and existence itself has never been more uncertain. In celebration of the 50th anniversary of the release of The Jimi Hendrix Experience masterpiece Electric Ladyland, Experience Hendrix and Legacy Recordings present a special Deluxe Edition box set. Spread across 6 180 gram LPs in 3 gatefold jackets and 1 Blu-ray the set includes: LP 1 & 2: the original double album, now newly remastered by Bernie Grundman from the original analog tapes. For the LP set, Grundman prepared an all analog direct to disc vinyl transfer of the album, preserving the authenticity. LP 3 & 4: Electric Ladyland: The Early Takes, which presents 20 never before heard demos and studio outtakes. Included are incredibly intimate demos for song ideas Hendrix recorded himself on a reel-to-reel tape at the Drake Hotel, as well as early recording session takes featuring guest appearances from Buddy Miles, Stephen Stills and Al Kooper LP 4 & 5: Jimi Hendrix Experience: Live At the Hollywood Bowl 9/14/68, part of Experience Hendrix’s Dagger Records official bootleg series. The recently unearthed soundboard recording captures the band and the mounting excitement that took place just weeks before the release of Electric Ladyland Blu-Ray: includes the acclaimed full-length documentary At Last… The Beginning: The Making of Electric Ladyland, the first 5.1 surround sound mix of the entire original album ever overseen by Hendrix’s original engineer Eddie Kramer plus the original stereo mixes in uncompressed 24 bit/96 kz high resolution audio. Electric Ladyland Deluxe Edition includes a full color, 48-page book containing Jimi’s handwritten lyrics, poem and instructions to his record label, as well as never before published photos from the recording sessions that were shot by Eddie Kramer himself. 6.5″ OLED screen, HDR and 3D Touch. Water Resistant for maximum depth of 2 meters up to 30 mins. Dual 12 MP wide-angle and telephoto cameras with face ID and wireless charging.